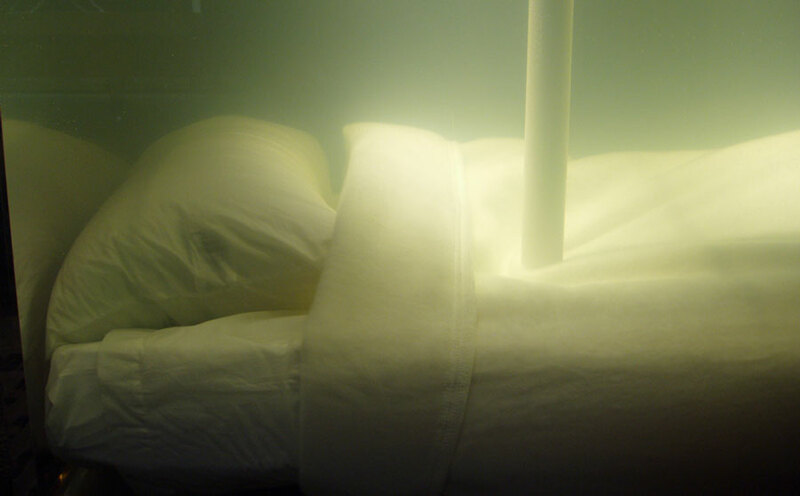 Sleepwalker draws from the many connections between the isolated and subconscious aspects of abstract painting, electronic music production, and scuba diving. 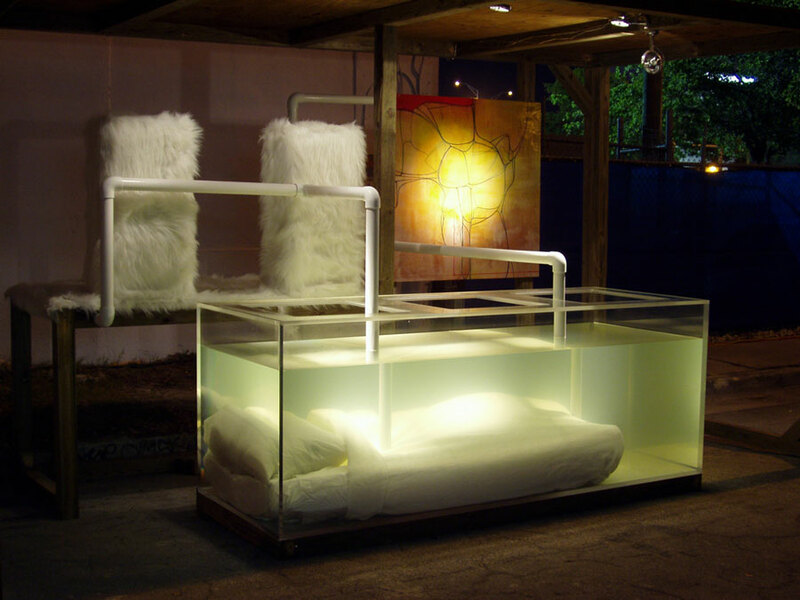 Sleepwalker exists as a fusion of these personal experiences, binding them in a unified psychological atmosphere. 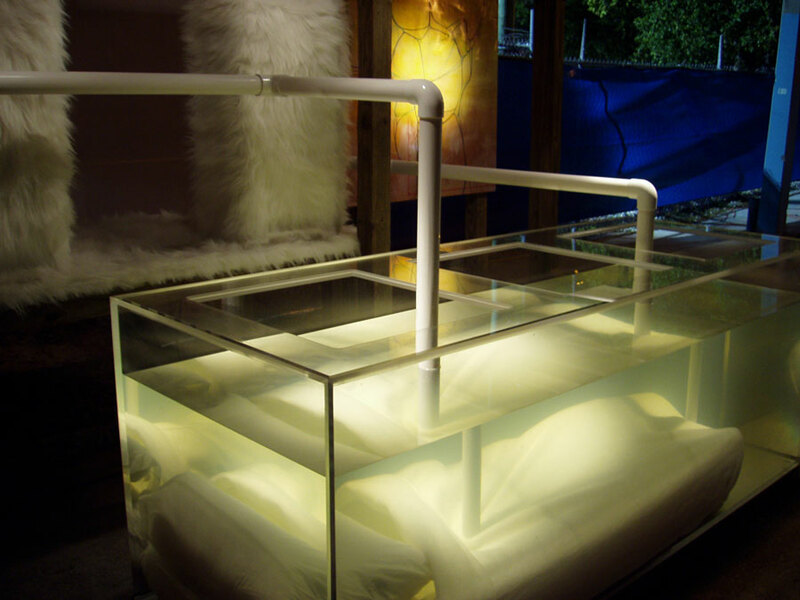 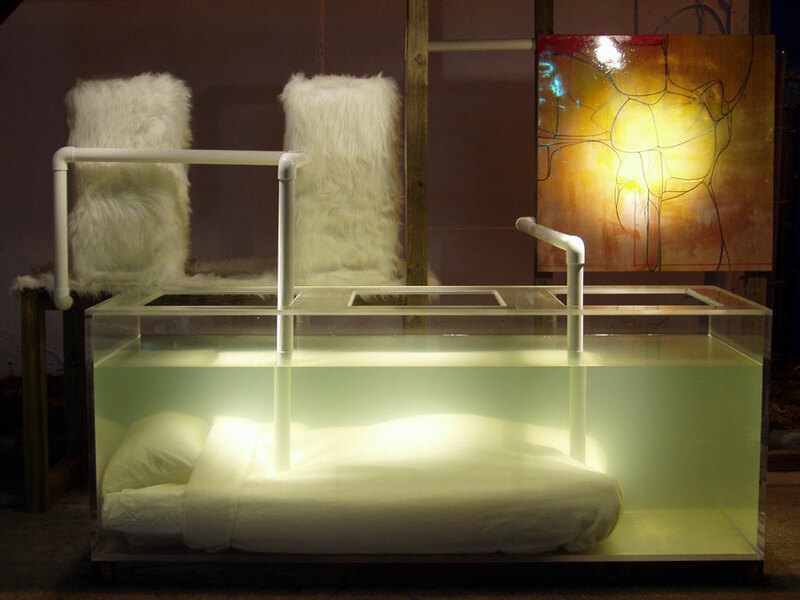 The installation consists of a human sized plexiglas tank filled with water, an underwater bed, fur speakers, sound, PVC piping, and an alkyd/oil painting.